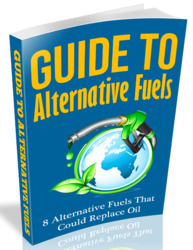 This is not a book for those still unconvinced of the need to reduce dependence on fossil fuels. It is assumed throughout that the long campaigns waged by others to make the construction industry aware of its responsibility to minimise the impact on modern civilisation of global warming and climate change has been won. This book is for those building designers aiming to reduce their project's dependence on fossil fuels and national energy grids. It is an overview, not a design manual. The focus is mainly on established technologies and those about to become generally available, although some promising technologies currently in the late stages of development will also be touched upon. So many sources were consulted that it would be impractical to credit them all. Much of the background research was conducted on the Internet. Anyone who tries this will discover that a good search engine will find thousands upon thousands of hits for almost every aspect of microgeneration. A lot will be frustratingly undated, and follow-up research often reveals that the exciting project, piece of technology or prototype installation never came to fruition. Many documents will contradict each other, while definitive figures can be elusive. Using the Internet is much like panning for gold - an awful lot of dross has to be evaluated and discarded for every genuine nugget of up-to-date, relevant and useful information discovered. It is hoped that the reader will profit from the work that went into this book, and, while further detailed research on the Internet will almost certainly be seen as desirable, at least it will be easier to direct it down the most fruitful pathways. Many observers of the construction industry claim to have observed a recent change in attitude to energy conservation and low carbon footprints. 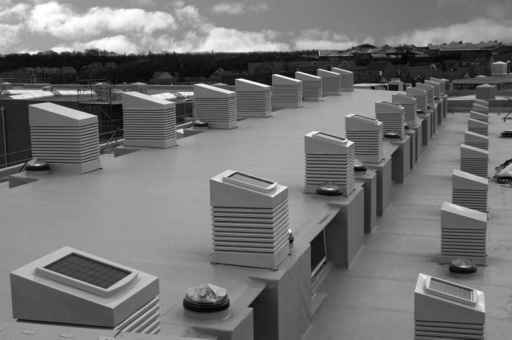 Clients, developers, architects and engineers alike are becoming aware that microgeneration is not some pious gesture; that, unlike carbon offsetting, it can make a real long-term difference to the world our children and grandchildren will inherit. Reliable, developed microgeneration options exist and make increasing practical and economic sense. And for those of a pioneering frame of mind, a number of new technologies that promise even higher efficiencies and even more freedom from dependence on fossil fuel are very close to realisation. Microgeneration in itself, however, is not the answer to the problem of excessive and unsustainable fossil fuel consumption. It must be coupled with serious attention to the energy consumed in procurement and construction; even then, without some serious long-term changes in occupant expectations there will not be enough of a reduction in energy demand from buildings to make a rapid and permanent change to atmospheric carbon dioxide levels. However, one book can only do so much. This book aims only to answer most of the questions anyone committed to low carbon buildings will have when first considering the opportunities offered by microgeneration. Reducing day-to-day consumption of fossil fuels for lighting, cooking, heating, cooling and domestic hot water is a key element in any serious attempt to design and construct a truly low carbon building. And low carbon buildings have to be part of our future - if we are to have a future. One day, someone will combine hydrogen from water with atmospheric carbon dioxide to produce a cheap, stable liquid hydrocarbon that can be handled and stored at ambient temperatures and pressures, using only solar energy to power the process. Until then, the incremental approach is the only realistic option.